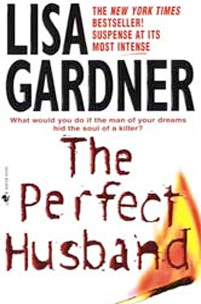 Review: I love Lisa Gardner but this book did not work for me. This read more as a romance novel than a thriller. Don't get me wrong, I love a good romance novel but I didn't care for any of the characters and the romance happened too fast between Tess and JT. Tess is the ex-wife of a sadistic serial killer who has escaped prison while JT is an ex-marine with serious family issues. I realize we have to suspend disbelief reading sometimes, but it seemed crazy to me that ex-cop Jim Beckett (the 'big bad'), while a complete psychopath, was able to evade law enforcement so easily and he should have been no match for an ex-marine/mercenary in a fight. There was a good twist at the end (which I kicked myself for not seeing!) but overall, this was an okay read.